We passed by the Walmart island that was set up with all of the items for s’mores, and I couldn’t help but feel nostalgic as I remembered summer nights by the campfire, making s’mores. 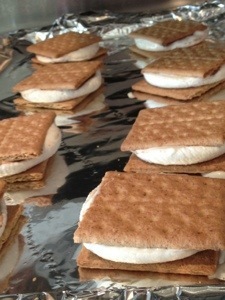 So, wanting to share the wonder of a melty, chocolatey, heavenly s’more with my kids, I bought all of the ingredients. …without thinking of how an open flame with small children is probably not the best idea. Oh yeah, and how there’s no bonfire going on in my backyard within city limits. 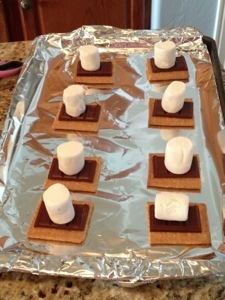 So, having never made s’mores any other way, I set out to do some Pinterest research and found this crazy woman’s gourmet version of s’mores. I was intrigued by the other ingredients she added, but decided I should try walking before flying. 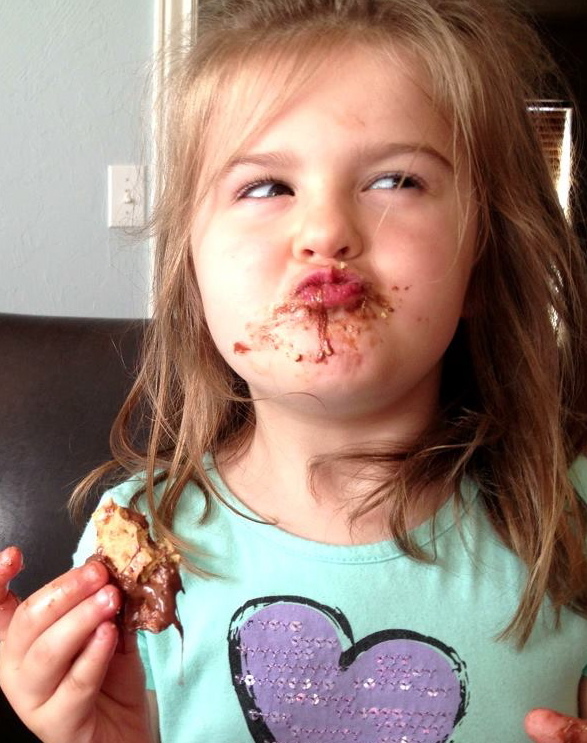 I lay a half graham cracker down, then I placed 1/4 a bar of Hershey’s chocolate on top of that. I finished with a giant marshmallow. I allowed those to cook at 350* for 5-6 minutes. 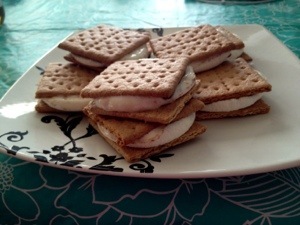 Then, I put the top graham cracker on and flipped the entire s’more over so that the unbaked cracker was resting on the hot pan. I let them cool like that. The end result was the most clean looking s’more I’ve ever seen. Seriously–I will be making these for the next party I go to, because they’re SO EASY, they look good, and they’re delicious! Oh, and in case you were wondering, the critics were pretty pleased with the results of this particular cooking endeavor.